On the 9th of July we conducted a “bespoke” version of our Cotswolds Tour for the Halesowen Rotary. As usual we set off from The Transport Museum at Wythall and went to the Rotary International Great Britain & Ireland offices in Alcester. There we were met by staff from the RIBI and Alcester’s High Bailiff, John Mills. The High Bailiff has a ceremonial role in Alcester as head of the Court Leet and John told us about the work that the Court Leet in Alcester does and how it was established over 700 years ago. You can find out more about Alcester’s Court Leet HERE. Accompanied by our usual guided tour commentary we then travelled down the A46 & A435 to the village of Prestbury, just north of Cheltenham which is claimed to be the Most Haunted Village in England – this of course fitted in well with our usual ghostly & ghastly tales. We spent an hour at the picturesque Royal Oak pub where our passengers all enjoyed an excellent lunch and a welcome drink (it was a VERY hot day!). Refreshed, we went from Prestbury to the Station of the Gloucestershire & Warwickshire Steam Railway at Cheltenham Racecourse so that we could board the 13:15 train to Toddington. There we were met by Cheltenham’s Town Crier who joined us on the train to tell us about the Railway and the parts of Gloucestershire that we were travelling through. 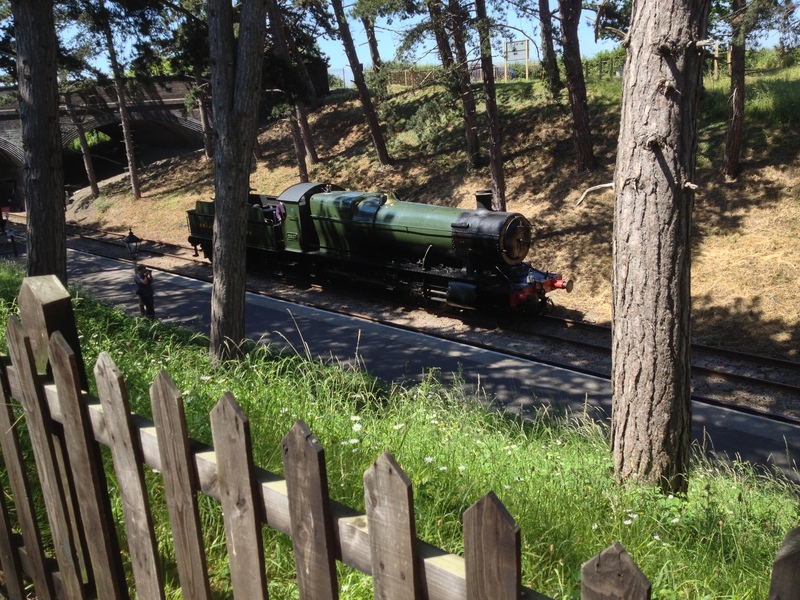 This week our train was hauled by 2807 an 2-8-0 GWR freight locomotive built in 1905 at Swindon. 2807 is the oldest GWR locomotive in public ownership and is sister to GWR no 2885 which has been on display at Moor Street Station in Birmingham for the last eight years – the latter was removed from Moor Street by crane on the 3rd of June 2013. 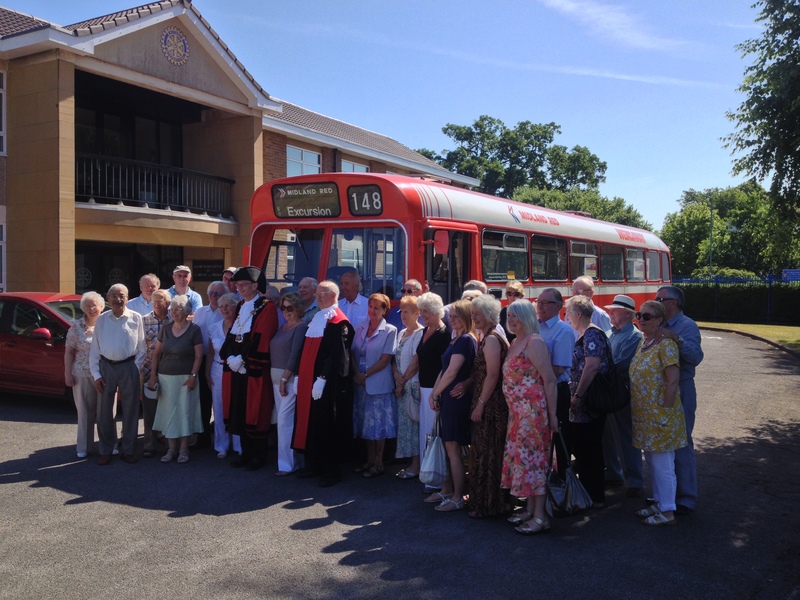 Our bus on this occasion – Midland Red S23 no 5956 from 1970 – met us at Toddington in the height of the summer sun and took us to Stanway House & Gardens in time to see the fountain (the tallest in Britain) play. There was even time to take a tour of Stanway house and enjoy a cuppa or an ice cream in their delightful coffee shop. To round off the day we went through Broadway & Bretforton along with some other picturesque Costwolds villages to the accompaniment of a few more ghostly tales. As always we collected a few “bob” from our travellers and the donations on this day will be split between the Transport Museum at Wythall and the Rotary Halesowen’s chosen charity fund. See some more photos from our day out HERE. If anyone who was on the tour has more pictures to share with us please send them or get in touch. This entry was posted in Cotswold Bus Trips, Historic Bus Tours, Historic Bus Tours for 2013, Stanway Fountain, Steam Railway, Uncategorized, Wythall Transport Museum and tagged Bus Tour, Charity, Cotswold Bus Trip, Historic Bus Tour, Historic Cotswold Bus Tour, old buses, Stanway Fountain, Steam Train, Vintage Bus Trip, Wythall Transport Museum. Bookmark the permalink. 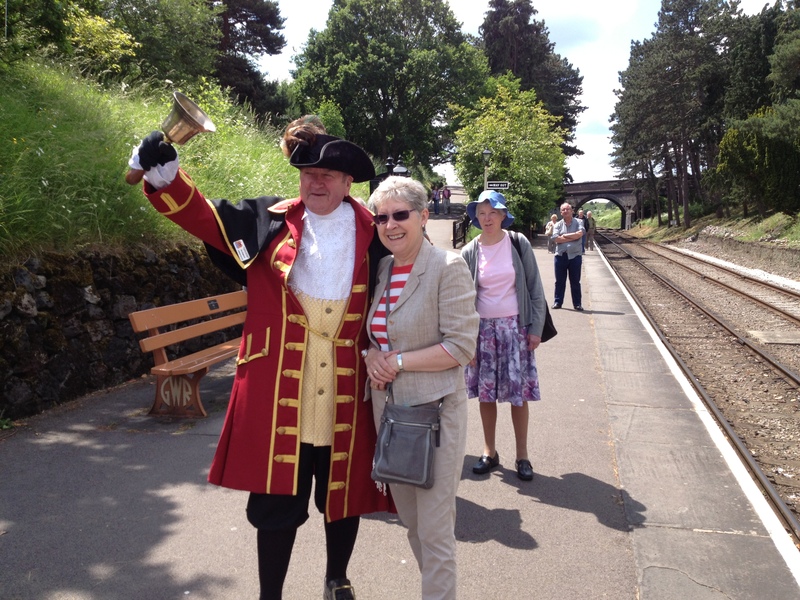 HEAR YE, HEAR YE…BUSES AND TRAINS…OH MY!! !